August Energy Update: Opportunities for U.S. Energy Exporters! Honduras is located in the heart of Central America, a territory with a combined population of 40.2 million and a top U.S. export market region. Because of its geographic location, Honduras is very rich in natural resources, and for the past decade its energy policy has been very receptive to the expansion of power production using renewable energy technologies – which currently supplies almost 60 percent of the country’s electricity generation, with thermal plants supplying the remaining 40 percent. With a total installed capacity of 2,478.4 MW, Honduras is presently focused on diversifying its matrix to reduce the volatility of energy prices, decrease generation costs, and improve energy security by also ensuring an adequate supply of firm capacity. Honduras is also committed to conducting upgrades to its energy transmission infrastructure, aimed at expanding the country’s ability to participate in Central America’s Electric Interconnection System (SIEPAC), the region’s interconnection of power grids and electric market. The Government of Honduras has recently signaled its intent to integrate natural gas into its energy matrix with the launch of a 240MW public tender open to HFO and natural gas solutions. As a means to encourage more U.S. firms to compete, the tender deadline has been extended until October 22. For those U.S. companies that may be interested in learning more about this opportunity, the U.S. Commercial Service will be organizing a webinar on Wednesday, August 29 where both the Honduran Minister of Energy and the general manager of the national utility will be delivering a presentation on this opportunities and others within the Honduran energy market. Participating U.S. companies will have the opportunity to directly present questions and comments to these senior energy officials. The U.S. Department of Commerce has recently launched a new initiative in Honduras to facilitate the regulatory framework for energy microgrids in Honduras. With both industrial and agricultural applications, this program will seek to open up the Honduran market to U.S. microgrid technologies including renewables, biomass and gas. Learn more about U.S. Natural Gas Opportunities in Honduras WEBINAR on August 29 here. Rossana Lobo is a trade facilitation executive with more than 20 years of experience in export promotion, business counseling, trade event planning, trade advocacy and commercial diplomacy. Since 1995, Rossana actively participates in the formulation, planning and execution of strategic Commercial Service programs for market development involving U.S. – Honduras bilateral trade. Among the industry sectors under Rossana’s office portfolio are energy, healthcare, franchising, travel & tourism, marine & port equipment, automotive, education & training services and trade financing. 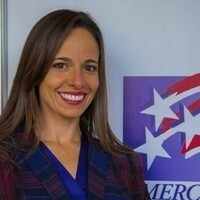 Prior to her involvement with the U.S. Commercial Service-Tegucigalpa, Ms. Lobo served as International Director for the American Chamber of Commerce (AMCHAM-Honduras). Ms. Lobo has a Master’s Degree in Business Administration (MBA) from the Catholic University of Honduras, and a B.B.A. in International Business from St. Mary’s University of San Antonio, Texas. Most recently, Ms. Lobo earned the Certified International Credit Professional designation from The Finance, Credit & International Business Association (FCIB). Join an upcoming webinar highlighting opportunities in Honduras' natural gas sector. This webinar will feature presentations by Honduran Minister of Energy Roberto Ordóñez and General Manager of Honduras’ national energy utility Jesús Mejía. 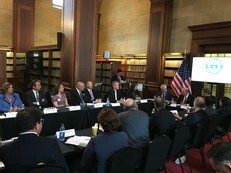 Participating U.S. companies will have the opportunity to directly present questions and comments to these senior energy officials. For more information, including a snapshot of Honduras' energy sector, the agenda with speakers, and more, CLICK HERE. The U.S. Department of Commerce's International Trade Administration (ITA) is organizing a webinar featuring national oil company Petrobras to speak about its onshore rig and services demand. For more information and the complete agenda with speakers, CLICK HERE. Hosted by U.S. Ambassador to Bahrain Justin Siberell. Bahrain is in the midst of making significant investments in renewable energy projects such as solar, wind, and waste-to-energy technologies to meet its national renewable energy target of 5% by 2025 and 10% by 2035. Learn more about specific opportunities for U.S. businesses. On-Demand Recorded Webinar: Listen to "Introduction to Korea's LNG Industry" that took place on May 31 with guest speaker Sung-Oh Lee, Senior Executive Vice President of Hanyang Corporation’s Energy & Infrastructure Division, which covered the Korean LNG market, as well as recent developments in the sector. In addition to Mr. Lee's presentation, hear from Commercial Attaché Daniel Lew on a brief synopsis of the Korean energy industry. To view the agenda and more information on the previously recorded webinar, see the program flyer. Cost: $25. You can access the webinar in its entirety from your computer at your leisure! To register to receive the recording, contact Danielle Caltabiano. Solar Power International, September 24-27, 2018, Anaheim, CA - "Showtime" reg is now open! Trinidad and Tobago Electricity Commission (T&TEC): Seeking to Source Utility Materials for Disaster Situations: T&TEC is interested in sourcing utility materials for disaster situations. Seeking distribution line materials, conductors, insulators, connectors, transformers (pole & pad mount <100kVA), poles (10m & 12m). Basically materials to restore the HV (12kV) and LV (110/220 Volt) network if lines are struck down during a hurricane or other disaster. For more information and the full list of materials needed, contact Marissa Nicholas, U.S. Embassy, Port of Spain, at nicholasmr@state.gov. Major Turkish EPC Contractor, KOLIN, Seeking U.S. Based EPC Contractor for Projects in the Middle East: A major Turkish EPC Contractor, KOLIN, is seeking for a US based EPC (Engineering-Procurement-Construction) contractor for the projects in the Middle East, which has successfully completed refinery projects (especially specialized in oilfins and aromatics integrated) to participate at the upcoming tender jointly in a consortium. For more information, contact Serdar Centinkaya, U.S. Embassy Ankara. Nigeria: Seeking Gas Technology Under the Nigeria Gas Flare Commercialization Program (NGFCP): Nigeria Oil and Gas Government approved the National Gas Policy and is seeking scalable technology for gas flare capture/commercialization, mini LNG equipment suppliers under the National Gas Flare Commercialization Program (NGFCP), as well as the national LPG Expansion Program (scalable gas flare capture technology/equipment/services to meet requirements for proposed modular refinery, small LNG equipment suppliers, LPG equipment/accessories/service suppliers). For more information on NGFCP, click here or contact Benedicta.Nkwoh@trade.gov. Costa Rica: Waste to Energy (WTE) Plant: The US Embassy, San Jose Costa Rica, wishes to alert potential bidders of the opportunity to participate in a Waste to Energy (WTE) plant proposed for the San Jose greater metropolitan area (“GAM”). Initial volume of the plant will be 1,000 tons per day, while subsequent volume might reach several times that. This opportunity may be put out to bid as early as September 2018. For more information, click here or contact Roy.Fernandez@trade.gov. The U.S. Trade and Development Agency announced on August 6 a call for initial proposals from project sponsors in Sub-Saharan Africa or U.S. companies working with African project sponsors. These entities are invited to submit an initial concept paper (not to exceed five pages) on energy-related projects to USTDA no later than Tuesday, October 2, 2018 at 12:00pm Eastern Time to be considered for funding. For more information, CLICK HERE. The U.S. Department of Commerce’s Office of Trade Agreements Negotiations and Compliance specializes in working with U.S. businesses to remove unfair foreign government-imposed trade barriers. If your business is facing such a barrier, please report it and our team of experts will investigate. Established in 2010, the REEEAC advises the Secretary of Commerce regarding the development and administration of programs and policies to expand the export competitiveness of U.S. renewable energy and energy efficiency products and services. The Committee’s work on energy efficiency will focus on technologies, services, and platforms that provide system-level energy efficiency to electricity generation, transmission, and distribution. These include smart grid technologies and services, as well as equipment and systems that increase the resiliency of power infrastructure such as energy storage. For the purposes of this Committee, covered goods and services will not include vehicles, feedstock for biofuels, or energy efficiency as it relates to consumer goods. The Committee shall consist of approximately 35 members appointed by the Secretary who will serve a two year term. The REEEAC is actively seeking candidates from eligible organizations such as U.S. companies, U.S. trade associations, and U.S. private sector organizations. For full membership criteria and application details, please review the Federal Register notice HERE. Applications must be sent to Victoria.Gunderson@trade.gov and received by 5 p.m. EDT on August 17, 2018. To learn more about the REEEAC (including previous meeting agendas/minutes and listing of previous charter members), please visit www.export.gov/reee/reeeac. Please email inquiries to Victoria.Gunderson@trade.gov. Questions about the Energy Update: Contact Danielle Caltabiano.